Welcome to Lorient. 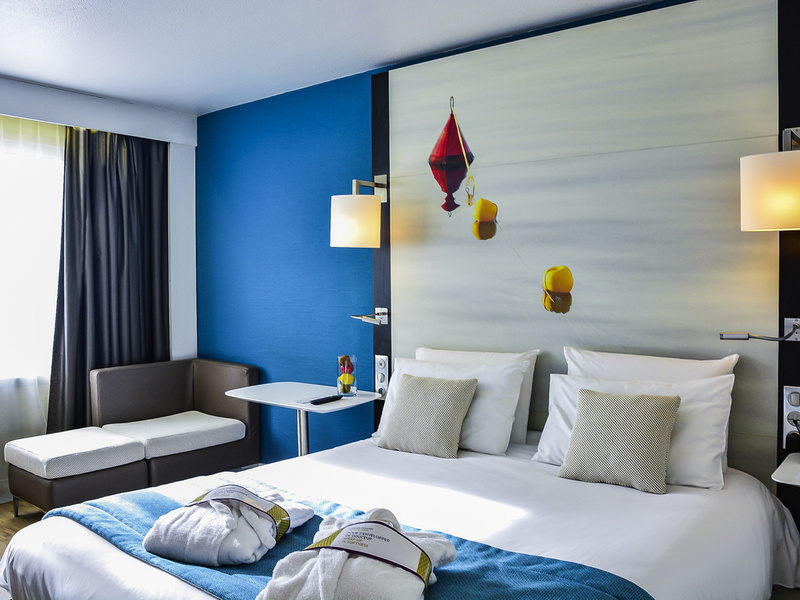 In the heart of southern Brittany, the Mercure Lorient Centre hotel team is delighted to welcome you for your business or leisure stays. Located in the town center, we look forward to providing you with recommendations for your stay. Close to the theater, congress center, railway station and marina, the Mercure Lorient Centre hotel enjoys a central location. This welcoming hotel provides modern, air-conditioned and soundproofed rooms only 45 min by boat from the island of Groix. Choos e from an array of nearby restaurants in the evening, or simply pull up a chair at our cozy lounge bar. Enjoy a thoroughly Breton experience on your business or leisure trip, and explore the Island of Groix, the Eric Tabarly Sailing Centre or the East India Company museum. 100 m2 of space, arranged as three ground floor, sunlit meeting rooms, with free Wi-Fi access, can accommodate up to 35 people for seminars or business meetings. Relax in our spacious, soundproofed rooms decorated in the style of the old East India Company. Choose from one double or two single beds. Relax with a drink in a cozy location.